Even if it is not located in the centre, your kitchen is the heart of your home – it is often the place where the family gathers at the beginning and end of the day, where they share a meal together and discuss plans. This centralized focus leads many people to have a desire to improve the space via kitchen renovations and designs. There are many benefits associated with making this decision. When our homes grow more than a decade or so old, they begin to accumulate dirt that just doesn’t seem to disappear, no matter how much the space is cleaned. A renovation can bring your kitchen back to a clean slate, making the room appear much brighter and cleaner. It is believed that bathroom and kitchen renovations are the most lucrative projects that can be undertaken, as potential buyers are willing to pay more for a home that looks relatively new. This is an ideal solution if you are thinking of selling in the near future. Over the years, it is likely that you have painted your home, made some new curtains, changed the flooring and invested in a number of other decorative touches. By updating the kitchen, you can ensure that it blends with the style you have decided on for the overall property. By simply rearranging the space available with a kitchen renovation and design, you can free up other spaces within the home. Have you ever considered incorporating a meals area into the room, freeing up the dining room for a home office or even an additional bedroom? If you have to navigate your way around furniture and benches every time you walk through your kitchen, you must have thought about there being another way. A renovation will allow you to rearrange the space so that the main walk areas are completely free of obstruction. More often than not, our kitchens are afforded stunning views of our landscaped gardens or are placed so that they receive plenty of natural sunlight. A renovation can help you to make the most of these features by expanding windows and orientating benches to overlook them. When kitchens become old, they start to look a little outdated and drab, which detracts immensely from the appeal of the home. A brand new design could be what you need to improve the appeal of the room; your family will enjoy spending time there. Even though a kitchen renovation and design can provide your home and family with all of the benefits that have been outlined above, it is important that you don’t fail to accommodate the three basic functions of the room – storage, food preparation and clean up. By making sure that each of these functions is taken into account, your project will be a success. 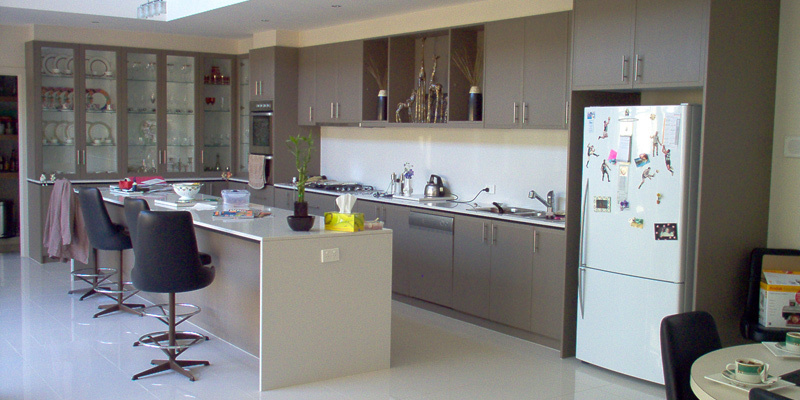 Master Renovators provide best kitchen and bathroom designs. They also deal in bathroom renovation services in Melbourne.